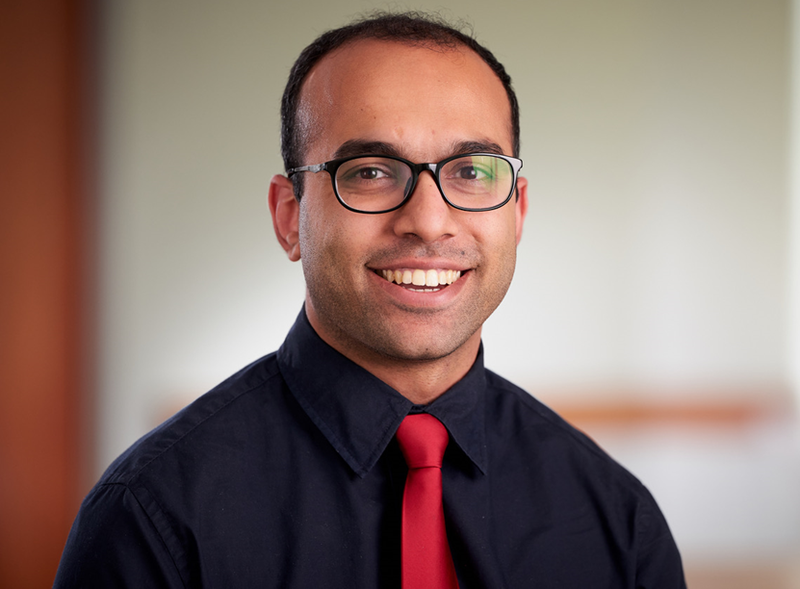 Dr. Kamal is a medical oncologist, palliative medicine physician and health technology researcher, Associate Professor of Medicine at Duke University, and Physician Quality and Outcomes Officer at the Duke Cancer Institute. In these roles he studies the development and implementation of novel tools to engage seriously ill persons and their caregivers in their journey with illness, with the ultimate goal of improving quality of healthcare delivery. Dr. Kamal holds several influential national leadership positions, including with the Physician Consortium for Performance Improvement (PCPI), The Joint Commission (TJC), National Quality Forum (NQF), American Society of Clinical Oncology (ASCO), American Academy of Hospice and Palliative Medicine (AAHPM). He has also won the Association of Community Cancer Centers (ACCC) Innovator Award and was selected as one the Top Influential Leaders Under 40 from AAHPM. He has published over 80 peer-reviewed articles in journals such as JAMA, Journal of Clinical Oncology, Annals of Internal Medicine, and Lancet Oncology. He holds grant funding from the Agency for Healthcare Research and Quality (AHRQ), CMS Innovations Center, and Cambia Health Foundation. Dr. Kamal received his medical degree from the University of Missouri-Kansas City, completed Internal Medicine residency and Hospice and Palliative Medicine fellowship at the Mayo Clinic, and hematology/oncology fellowship at Duke University. He holds a Masters in Health Science in Clinical Research from Duke University and a Master in Business Administration from the University of Massachusetts – Amherst. Jon leads the design, development, and management of the Prepped Health engagement platforms. He has been working in research-based mobile health solutions since 2012 and his primary interests are in creating mobile platforms that transcend health disciplines as well as matching modern technology trends to better connect patients to their care needs. Jon has 15 peer-reviewed publications and has presented research-based mobile health solutions at multiple national conferences including the 2014 NIH Wireless Health Conference and the 2016 Center to Advance Palliative Care National Conference. In addition, Jon received first place recognition by The American Journal of Managed Care for top poster at the Patient-Centered Oncology Care Conference in Baltimore, MD. Jon is a graduate of Duke University and completed his MBA at SUNY Albany with a concentration in Information Technology Management. Tisha is the Special Projects Director for Prepped Health LLC. She joined the team at the beginning of 2016 and brings several years of experience to the team in project development, implementation and administration. Some of her primary projects include website development, graphic design, and project management across Prepped Health. Andy is from Chapel Hill, NC and has a degree in History and Computer Science from Furman University. In his spare time he enjoys making and playing games, cooking, reading history books, and homebrewing cider. He has a background in developing web applications for the medical and scientific community and is now working with the Prepped Health team to support existing projects and develop new ones. Kevin W. Bowles has more than 25+ years of experience as a proven entrepreneur starting and growing businesses by commercializing game-changing technologies in the U.S. and internationally. In addition to working as a Duke University New Ventures Mentor-in-Residence (MIR), Bowles is an Entrepreneur-in-Residence (EIR) with Blackstone Entrepreneurs Network and Founder and CEO of Hesiod & Associates, an international advisory/consulting and investment firm that: 1) advises high growth, middle market and large businesses; 2) starts companies; and invests, opportunistically, in early stage companies. Bowles started his career as an Exploration Oil and Gas Geologist/Geophysicist followed by time in investment banking and venture capital. Bowles has had two equity exits. He provides executive leadership & counsel in Software, Medical Technology, Energy, Clean Technology, Education Technology and Wireless industries. Bowles is an expert in understanding & communicating company/technology value to new markets and investors. Bowles has a keen focus on defining key players where the technology is most valued, driving early adoption. Dr. Myers work spans life science research, university translational research, licensing and buy-side in venture capital. Dr. Myers has been a member of the Duke faculty in Biomedical Engineering, Orthopaedic Surgery, and Business Administration since 1991. Dr. Myers longstanding research examines catastrophic head and neck injury with the goal of injury prevention. In addition to his research, Dr. Myers is a leader in enabling life-science technology development, licensing, and industrial interaction. Dr. Myers co-founded and directs four translational funds overseeing more than $4 million annually. These include Duke’s $26MM Endowed Coulter Translational Research Partnership that is responsible for 18 licenses and several start-ups that have secured more than $500MM in follow-on support, the Duke’s Clinical and Translational Science Institute Translational Consult Service, the NFL sponsored Head Health Tech Challenge fund that funds emerging safety technologies for sports in both public and private enterprise, and the Innovation and Entrepreneurship Incubation Fund. Dr. Myers other experiences include serving as Managing Director for licensing for three years, and serving as an Executive-in-Residence at Pappas Ventures, a bioventure capital firm in RTP for 13 years. In that regard, he consults and serves on a variety of start-up boards in the life sciences. As Chief Clinical Officer of Echo Health Ventures, the venture capital/private equity investment group of BlueCross BlueShield of NC and Cambia Health Solutions with a combined portfolio of 22 companies, Blake provides clinical and strategy expertise to the evaluation of investment opportunities and works with portfolio companies on collaboration with providers and insurers. He provides similar services to the market as President of Long Health Care Consulting. Blake was previously Chief Clinical Officer of Mosaic Health Solutions prior to the formation of Echo in 2016. Before joining Mosaic in 2015, Blake served as a practicing pediatric cardiologist at Savannah Children’s Heart Center and as a clinical professor at Mercer University School of Medicine. He also served as director of life sciences for Ariel Southeast Angel Partners, managing evaluation and implementation of investments in healthcare and life sciences. Previous roles have included chief medical officer and chairman of pediatrics in healthcare systems in Georgia. Blake earned his BA and his MD from Duke University. He completed his residency in pediatrics at Walter Reed Army Medical Center, and served in Desert Shield/Storm. He received his MBA from Duke's Fuqua School of Business in December of 2015. Blake has three adult daughters. In his spare time, he enjoys reading, cycling and traveling. 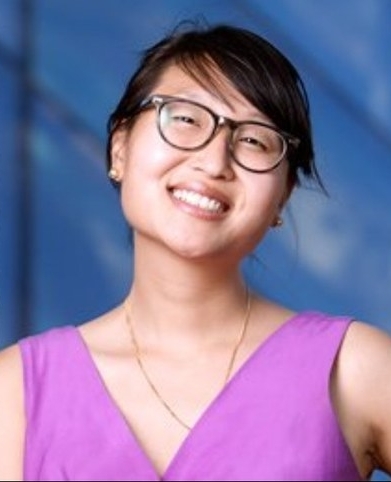 Azalea Kim is a population health, health IT, and data science enthusiast. Azalea was co-founder of myProxy, Inc., which developed the TrueNorth Healthcare platform to engage patients and surrogate decision makers in advance care planning. TrueNorth was a finalist in the Harvard Business School New Venture Competition, and funded by Healthbox, Harvard Business School Rock, and Tigerlabs acclerators. She joins the Prepped Health team with a focus on advance care planning and patient engagement solutions in primary care. Azalea is a physician in her final year of residency in the combined Internal Medicine and Management Leadership Pathway at Duke Health. As a management and leadership fellow at Duke, she provides core strategic and analytic support for Duke Health projects that focus on population health management, design and development of pop health IT solutions, negotiation of value based payment models, and application of health data science models within the care delivery system. She is currently principal investigator and lead for two Duke Health innovation pilots to promote population-health based approaches to advance care planning in primary care and in training in graduate medical education. Previously, Azalea has had extensive care management and primary care innovation experience working with Montefiore’s Care Management Group and Kaiser Permanente Health Plan’s Community Benefit Division. She received her BA from Princeton University, MD from the Icahn School of Medicine of Mount Sinai, MBA from Harvard Business School, and MPA from the George Washington University. Haider Warraich is a fellow in cardiology at Duke University Medical Center and the author of Modern Death – How Medicine Changed the End of Life(St Martin’s Press). He is a regular Op Ed contributor for the New York Times, as well as the Atlantic, Guardian, Wall Street Journal and LA Times and has also contributed to academic publications such as the New England Journal of Medicine, Journal of the American Medical Association,Lancet and Circulation. He has appeared on CNN, Fox, CBS, PBS, and on NPR shows like Fresh Air with Terry Gross, The Diane Rehm Show, The World, Marketplace and the BBC World Service. To learn more about the Prepped Health platforms and how they can be used, please contact us.